Dumaguete is known for being a laid back and relaxing city in the Philippines. Dubbed as City of Gentle People, as well as a famous University Town. 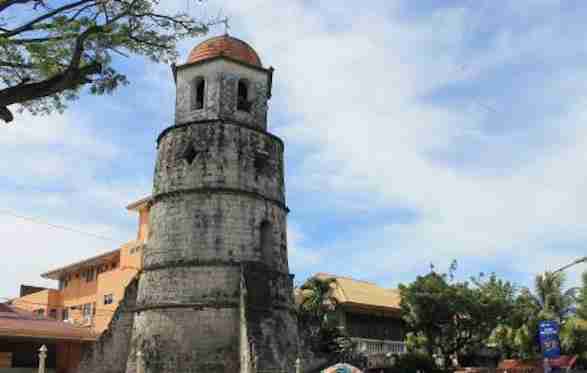 There is a lot of great things to do in Dumaguete city. Checkout our travel tips to Philippines and out things to do in Cebu City before going. This is a convenient and easy gateway to different tourist attractions and spots in Negros Oriental, to Siquijor Island and Cebu’s southern towns. The moment you set foot in Dumaguete City, you will feel as if everything is slowing down. And the only thing you want to do is to relax, bask in the slow-paced way of life, enjoy local food and do nothing at all but chill. Many visitors to Dumaguete leave with great memories and an awesome experience of this wonderful city. 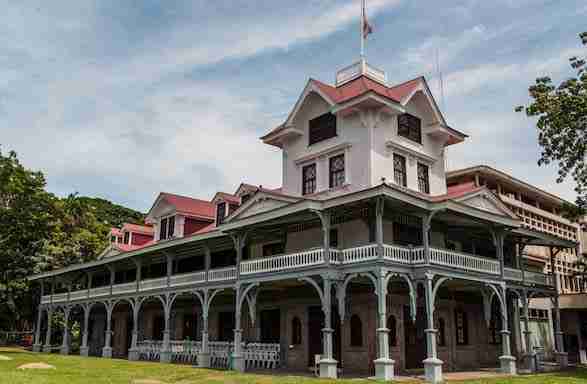 Here, you will find a lot of interesting places as well as there is plenty of things to do in Dumaguete city. If you are planning your trip to Dumaguete, it’s always good to become familiar with the different things to do in Dumaguete city and experience the City of Gentle People. Also referred to as the Rizal Boulevard. It is a well-known tourist spot in the city which also serves as a favorite hangout area for both tourists and locals of the city. Directly facing the sea, it is also a popular spot for joggers, particularly during late afternoon and early morning. You will also enjoy watching the sunrise, cooling off in the sea breeze or going on a food trip at tempurahan hawker stalls once night-time comes or at several local restaurants dotting across the street. 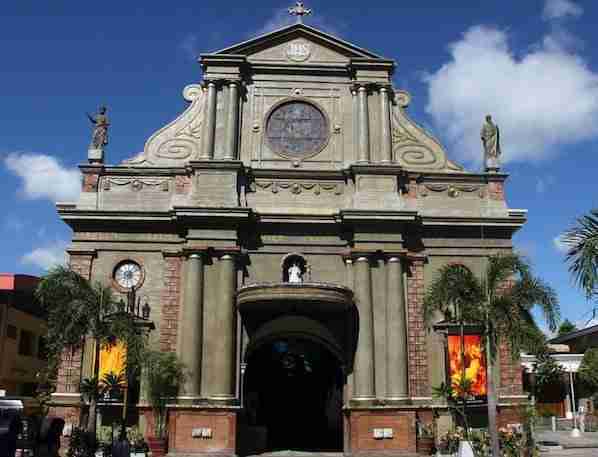 Labeled as the Negros Island’s oldest stone church, the St. Catherine of Alexandria Cathedral is definitely a must-visit for all travelers of Catholic belief. Originally, the church was built from 1754 up to 1776, before it underwent reconstruction in 1885 then later on extended in 1936 with today’s façade. Food trips is no doubt a must do every time you go on a trip in the city. The must-try foods are Silvanas and Sans Rival at the Sans Rival Cakes and Pastries. If you like something cold and delicious like ice cream, you may try the Panda’s friend ice cream. During night-time, you can visit tempurahan, which is located along the boulevard. Here, you can enjoy grilled foods and have a good time by listening to music or sipping a glass of drink at a bar. Built by the Protestant missionaries of Presbyterian Church in the US in 1901, Siliman University is well-known for being Asia’s oldest American University. Being a major landmark in the center of the city, this campus is remarkably big and is dotted with large acacia trees, with some of its buildings boasting of colonial American architecture. Found adjacent to the cathedral, this separate old belfry tower is where locals visit for lighting candles and offering prayers. Yet another famous tourist attraction in the city, this is said to be its oldest surviving structure which was established in 1780. The Negros Capitol Building is the Negros Oriental province’s seat of government, its neoclassical architecture serves as a structure in the city that you shouldn’t miss seeing. For accommodation options in Dumaguete City, you won’t run out of options. You will always find the one that would suit your personal needs and would give you the feeling of a home away from home. You might want also to check some of the boutique hotels in this city, which is perfect for the backpackers and budget travellers. This is a public park found right in front of the Old Belfry Tower and Dumaguete Cathedral and is a popular spot for hanging out among the locals. 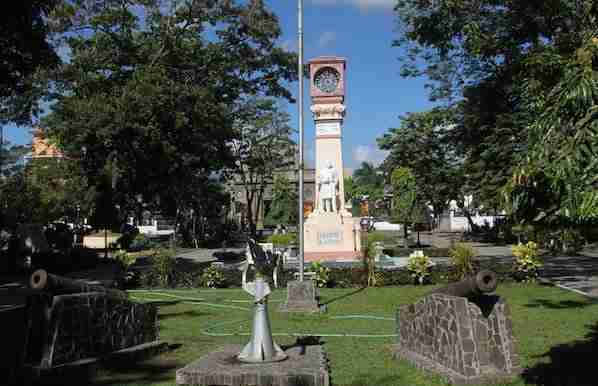 Visiting Quezon park is definitely one of the top things to do in Dumaguete city. If you like to relax for a while, getting a massage is never a bad idea. Island Leisure Wellness Spa is one of the places you can visit in Dumaguete City, which offers quality and relaxing massage packages with the highest possible level of commitment to customer service from their professionally trained female and male therapists. Their therapists are also well-trained and could go an extra mile just to offer you the service that you deserve. Do not leave Dumaguete City without bringing a few pasalubong (souvenirs) to bring home including the Sans Rival and Silvanas. For the ref magnets, native bags, key chains and some local products. You can check out the souvenir shops situated at the city center. Malatapay Market – You’ll surely pass this market while you are on your way to the Apo Island. It’s where lots of agricultural produce and some products are on sale. The best day to visit the Apo Island is Wednesday so you might also checkout this market. 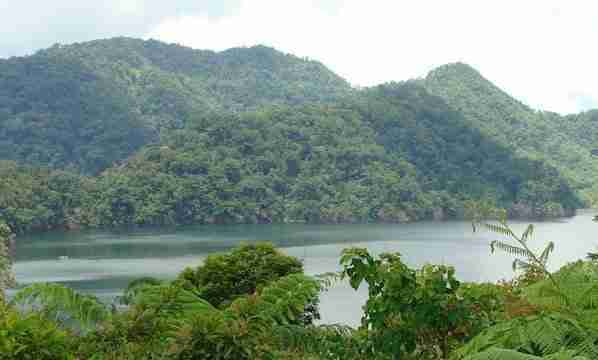 Twin Lakes Danao and Balinsasayao – Situated in the range of Mount Talinis, it’s an 8000 hectare protected area that lies within the municipalities of Sibulan, San Jose, and Valencia in Negros Oriental. Pulang Bato Falls – It is situated in Ocoy Village, which is the falls’ name comes from because of the abundant natural red-colored rocks found in this place. Casaroro Falls – In the entire province, it’s considered as the most photographed waterfall. 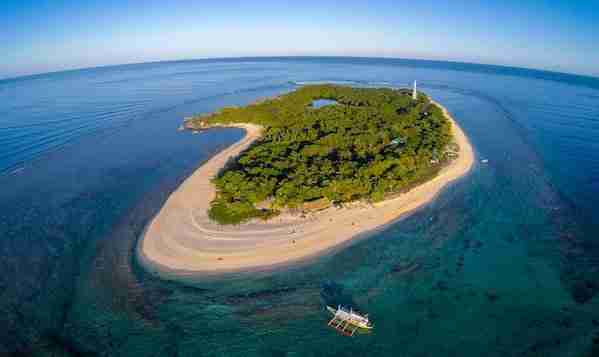 It can be found in Valencia, which is 9.5km west of the city of Dumaguete. Apo Island – It’s a little island renowned for its several underwater activities, which include diving and snorkeling due to its rich marine life. The protected sea and landscape of Apo Island features a Marine Sanctuary that’s considered to be one of the oldest marine reserves that is protected in the country of the Philippines. Dumaguete has a reasonable supply of guest houses, hostels and hotels. Here are a few places to check out if you are planning to visit Dumaguete Philippines. It offers an outdoor swimming pool, free Wi-Fi and free parking. Rooms are tastefully decorated with vibrant wall colours and unique wall paintings. Included in all units are a private balcony, flat-screen TV and an attached bathroom. This property is 10 minutes walk from the beach. Honey Villas Dumaguete provides accommodation with free WiFi, air conditioning, a garden and a shared lounge. This apartment comes with a kitchen, a flat-screen TV, a seating area and a bathroom with a shower. This 2-star guest house offers luggage storage space and free WiFi. The property is set 900 m from Negros Convention Center. The rooms come with air conditioning, and certain rooms at the guest house have a balcony. It features an outdoor swimming pool and complimentary WiFi access in its public areas. Rooms are fitted with a patio, rooms offer air conditioning. They feature a flat-screen TV with cable channels, a personal safe and a wardrobe. The attached bathroom comes with hot and shower facilities and toiletries. Finally, once you visit Dumaguete City, you will have plenty of options to visit, explore, discover and things to do in Dumaguete City. 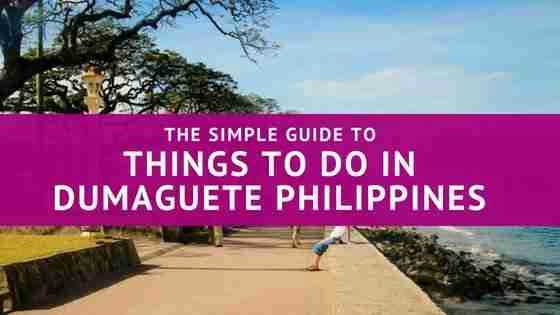 All you have to do is to choose the activities you prefer and start enjoying what the city of Dumaguete has to offer. And that’s it for now! Let me know if you have any questions and let me know if you go too. 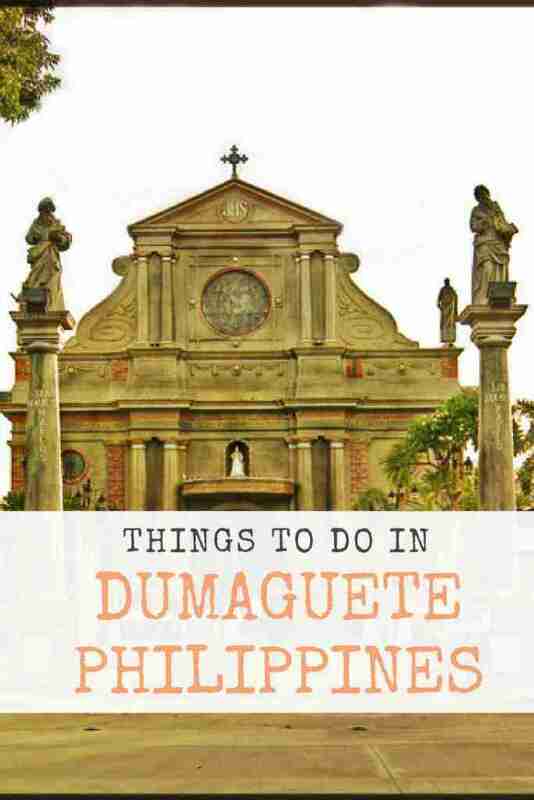 I’d love to know if this guide on things to do in Dumaguete City has helped you.